The Flood of 16th July 2012. A 600 cumecs flood is a significant flood. Statistically, a flood of this size is scheduled every 5 years. The flood of 2004, at 1400cms, and the slightly bigger flood of 1958, are 100 year events. There is a lot of energy in a 600cms flood and it has the ability to shift a tremendous amount of material. 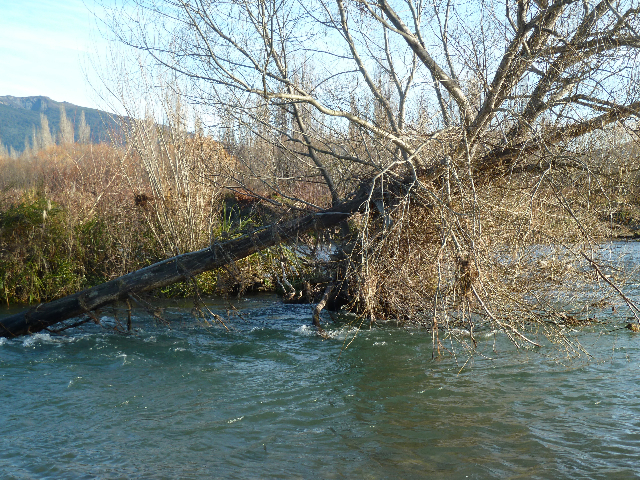 In the process it has the ability to reshape sections of the river. Sunday 15th July was a period of heavy persistent rain but overnight and next day we received 87 mm in 48 hours as the graph shows. The heavy rainfall resulted in a flood. The Genesis River flow graph copied here shows the extent of the flood and today at 3pm the river is still flowing at 43cms when normal is 23cms. 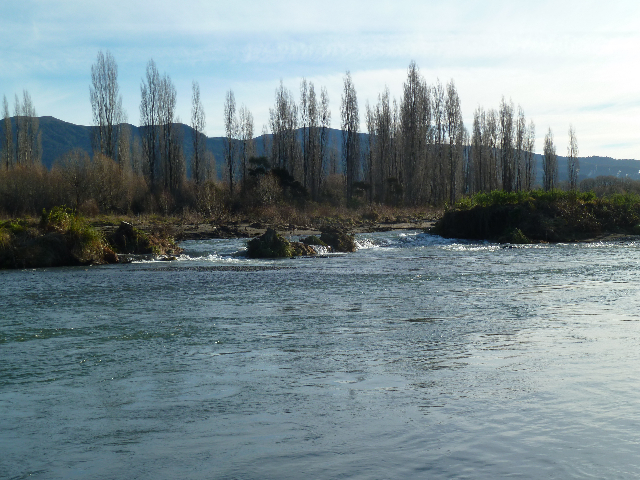 I wasn’t in Turangi for much of Monday so missed the height of the flood and the opportunity to take photos of the river in peak flow. The photos here and on our facebook page are from Tuesday onwards. I have concentrated on the area where river works have occurred. 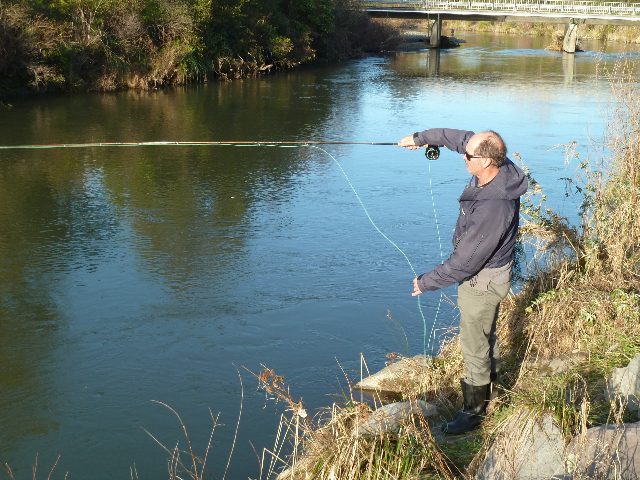 The river is still coloured but looks great to fish and anglers are evident in much greater numbers than previously this year, apart from when water was retained in the river and not diverted through the Poutu canal when repairs to the canal were being made in April. 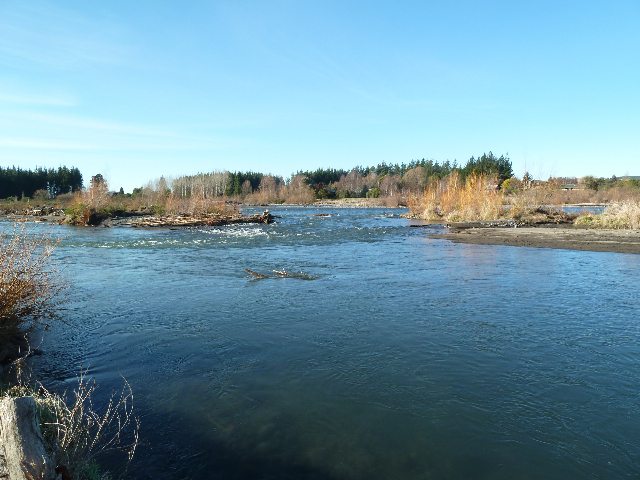 The area of greatest interest is where willow clearance and flood plain shaping was being made by Waikato Regional Council. 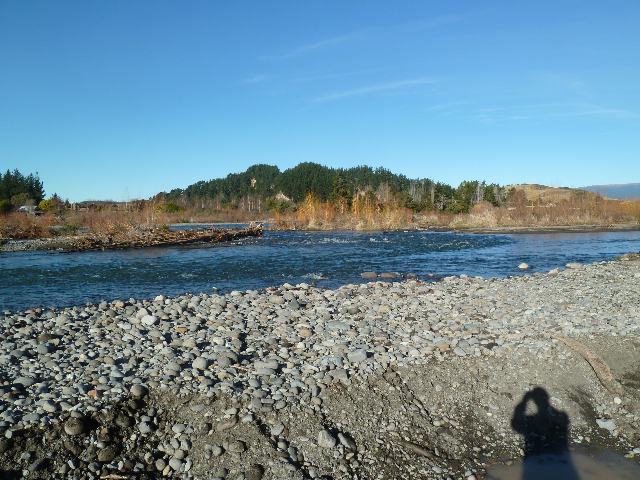 I wrote last week of the effort to put the main flow back through the Bain, Log and Reed pools, and to divert water from the run from the Swirl to the Reed. The river, in flood, has chosen its own path. I have to say that the intention of getting the flood waters away from the town would appear to have worked. Unfortunately many logs, stumps and other vegetation removed from the river and on the banks have been carried downstream in the flood waters. 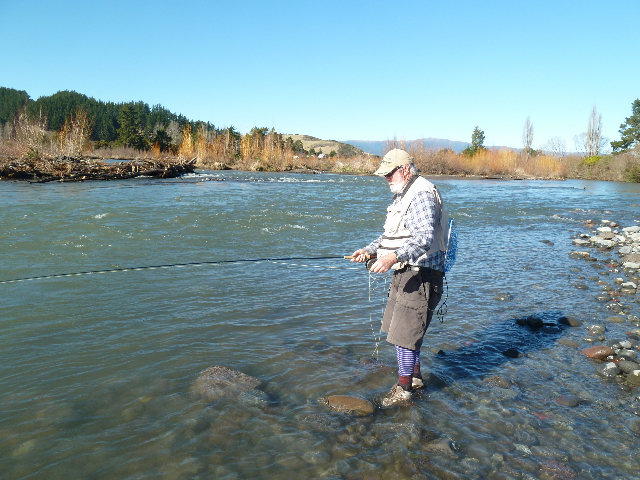 We were warned by Cam Speedy at Genesis of a tremendous amount of volcanic ash from the 1995/6 Mt Ruapehu eruptions would be washed into the river in storms such as this one. I have yet to explore the water and find if there is a huge amount of silt in the lower river pools as I would suspect has happened. Michel Dedual told me that he had flown over the river today and was surprised at how good the river looked after the flood. There is much angler interest now. Anglers are everywhere. I talked with John Paterson who had a great day. He had hooked 8 fish, landed 4 and kept 1 when I saw him. On another note, the downsizing of the Turangi office takes place this week as some staff move to the Taupo head office for the new National Park, Tongariro, Wanganui and Taranaki.